The Greater Phoenix Chamber of Commerce today announced the 11 women chosen as finalists for its prestigious ATHENA Awards as it continues its 29-year tradition of recognizing outstanding Valley businesswomen. Join the Greater Phoenix Chamber of Commerce to help celebrate the outstanding businesswomen in our community and to support all nominees, finalists and recipients past and present. 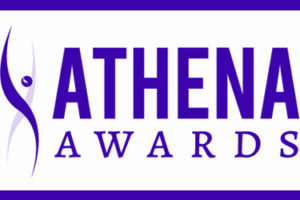 WHO: Three ATHENA Award recipients will be announced at the Chamber’s 29th Annual ATHENA Awards luncheon. WHEN: Wednesday, October 26, 2016 | 11 a.m. to 1 p.m.
REGISTER: www.phoenixchamber.com/athena | Registration closes on Wednesday, October 19 at 5 p.m.